I start by introducing some ideas from the field of science and technology studies that concern the difficulty of differentiating experts and laypeople. Based on this description I react to Albæk’s comment and further explain the approach taken in my study. The results of the study indicate that the function of different types of sources can vary or overlap and that it is not always possible to unequivocally determine whether a source is represented as, for example, an expert, a representative of a particular worldview or institution, a citizen or more of the above. It is suggested that more research is needed on the issue how different types of journalists and specialist correspondents select and use their sources and how science education is represented in the media. The study of (science) education in the media is still a neglected issue and some of the benefits of getting a better understanding of the public representation of science education are pointed out. Forum rejoinder for the original paper: J. Allgaier (2011). Who is having a say? Journalists' selection of sources in a science education controversy in the UK press. 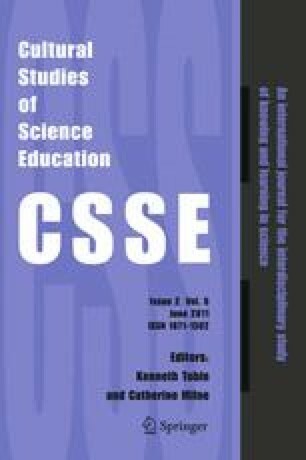 Cultural Studies of Science Education. Allgaier, J. (2010b). Discursive coalitions and collaborative networks of experts in a public creationism controversy in the UK. Public Understanding of Science. Retrieved January, 31, 2011 from. http://pus.sagepub.com/content/early/2010/11/16/0963662510383385.full.pdf+html.